During the hottest week of the summer, with sweltering heat indices above 100 degrees, more than 50 volunteers came out for Watering and Weeding Wednesday at Seatack Elementary School An Achievable Dream Academy. 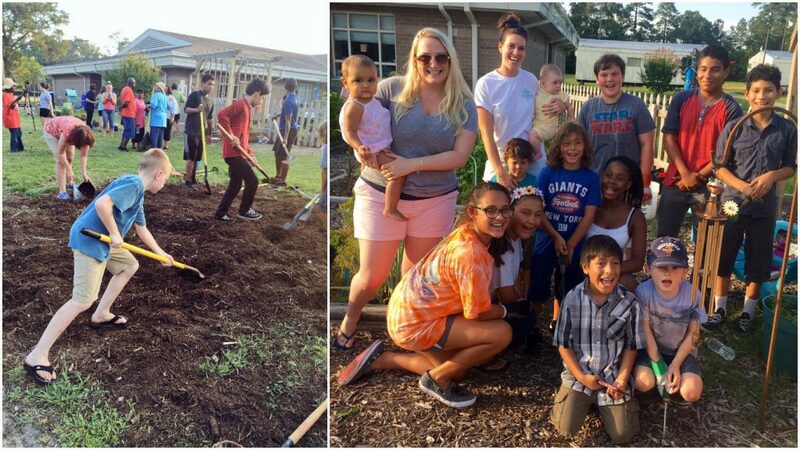 The weekly summertime service event, held from 6-8 p.m., helps maintain the school’s garden full of flowers and plants used for teaching and learning throughout the school year. “We mulched the entire garden with 5 yards of mulch and lots of sweat!” she said. Among the volunteers were student and adults from Seatack Elementary, Virginia Beach Middle School, Plaza Middle School, Corporate Landing Middle School, Brickell Academy at Old Donation School, Ocean Lakes High School, First Colonial High School and area faith-based organizations. 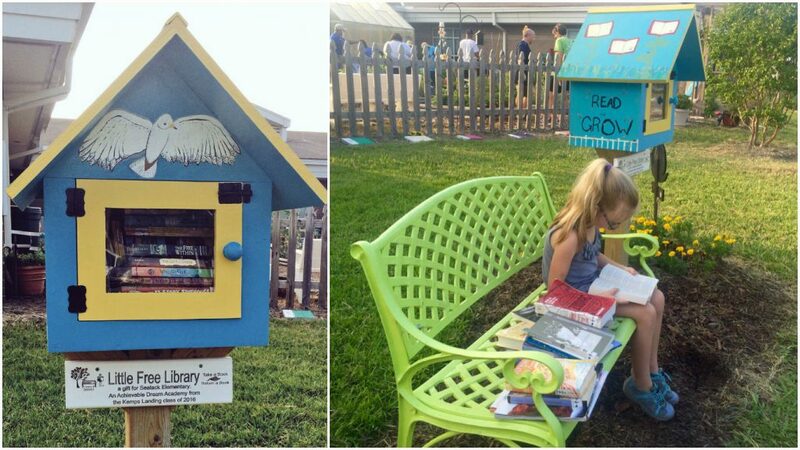 In addition to weeding, watering and sweating, members of Brickell Academy’s National Junior Honor Society (NJHS) added more books and a commemorative plaque to the Little Free Library it established at Seatack in the spring. Watering and Weeding Wednesday continues throughout the summer at Seatack Elementary School An Achievable Dream Academy located at 912 South Birdneck Road.